Auburn faces Virginia in Minneapolis. March Madness has been incredible. In just the Elite Eight, we saw the defensive minded Texas Tech defeat top seed Gonzaga to advance to their first Final Four. And then in an OT thriller, Purdue took Virginia to the brink but with an amazing bucket to go to overtime, the Cavaliers held on to advance and avenge their disappointing 2018 tournament. 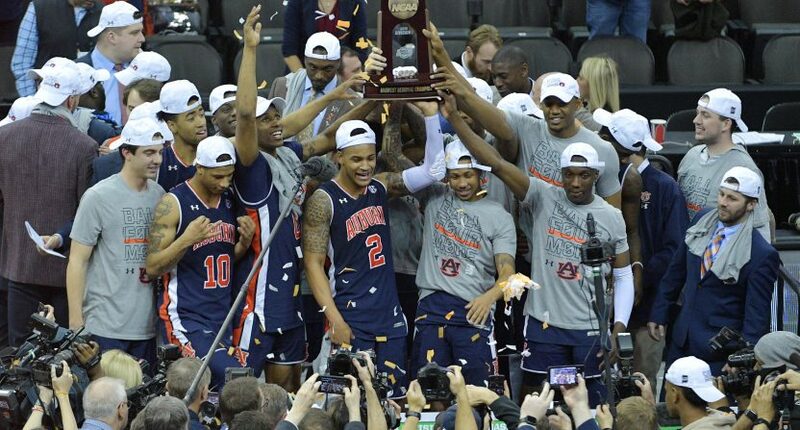 Sunday was more of the same as five seed Auburn took on two seed Kentucky with a shot at the Final Four on the line. A tale of two SEC schools with different histories, Auburn was the team who had only been in this position once and never made the Final Four while Kentucky and John Calipari in the Final Four seems as normal as breathing. In the end, it would be Auburn, who had to take down another historic powerhouse in North Carolina, defeating Kentucky in overtime and head to the Final Four for the first time. The majority of Auburn’s scoring was down to guards Bryce Brown and Jared Harper, who combined for 50 of Auburn’s 77 points. Brown came up huge from behind the arc, shooting 4 for 7 from three, while Harper was a perfect 11 for 11 on free throws. Kentucky pinned their hopes on PJ Washington who performed admirably. Nursing a foot injury, Washington came off the bench and finished with 28 points, and becoming the leader of the team once it got down to crunch time. Just like Carsen Edwards last night, finishing as top scorer of your team and losing is bittersweet but you can’t say PJ Washington lacked determination on the floor. Auburn had been playing with heavy hearts as Chuma Okeke suffered a torn ACL in their win over UNC. But that inspiration of Okeke being wheeled out in the second half to cheer on his teammates surely helped a team come together and play as one. The Tigers face top seed Virginia and odds will likely show them as the underdog. But as Auburn has showed against North Carolina and Kentucky (in addition to Kansas in the Second Round), Auburn is mowing down these historic teams left and right so discount them at your own peril.